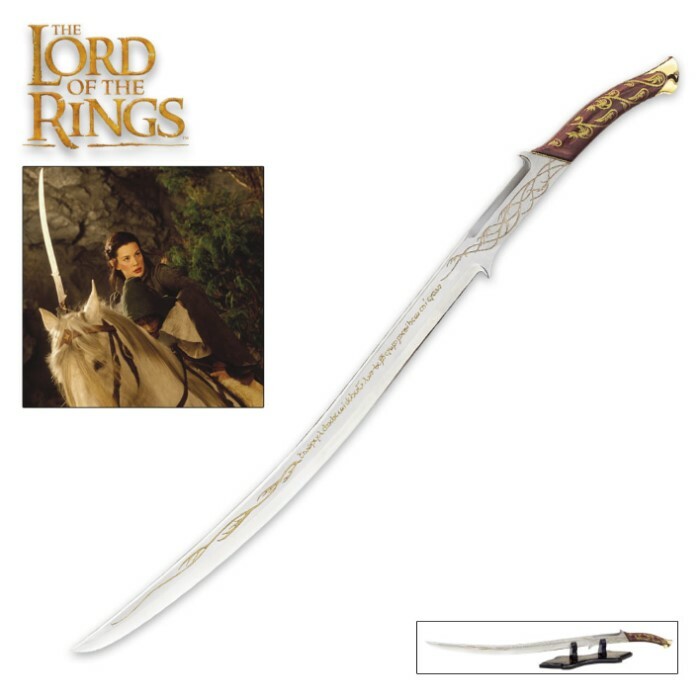 This blast from the past is the officially licensed Hadhafang, Sword of Arwen Evenstar from the epic trilogy The Lord of The Rings. This highly detailed collectible is an exact replica of the actual filming prop used in the popular trilogy. 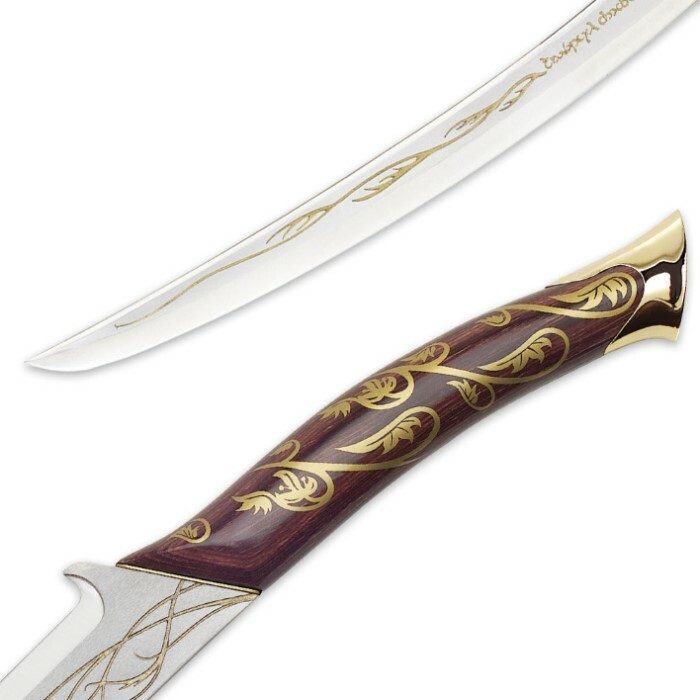 It features a 30" tempered 420 stainless steel blade decorated with laser-etched runes. Just like the film prop, the handle has a solid wood grip accented by a cast metal pommel. It includes an attractive display stand to showcase it for the treasure it is. 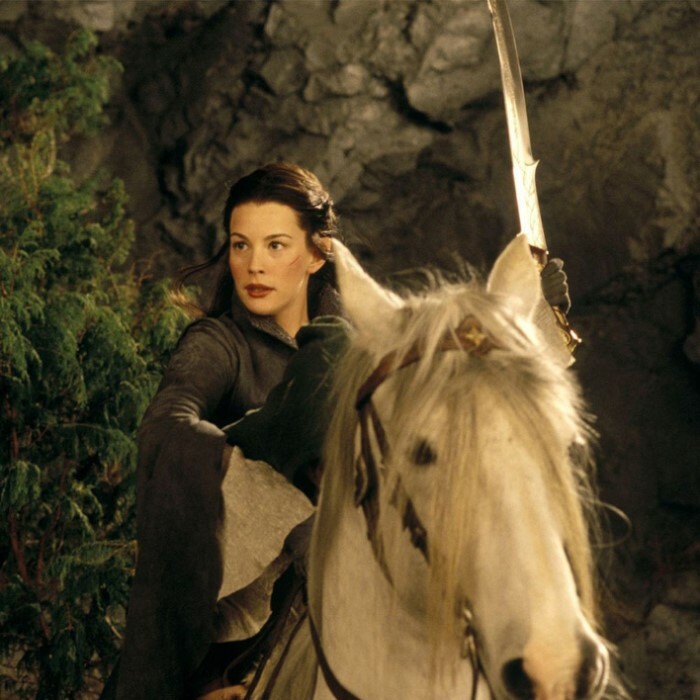 Like all LOTR collectibles, it also includes a Certificate of Authenticity. Measures 38-1/8" overall.